includes a two piece set that fits over the rear wiper arm. rear Styling accessory to the vehicle. Great way to make the rear end of your Jeep Cherokee KL stand out. Contoured to the shape of the rear wiper arm. Manufactured to perfectly match the OEM chrome on other parts of Jeep Cherokee KL. Will only fit Cherokee KL Model 2014-on. *Does NOT fit other models. *Does NOT include other chrome parts shown in the pictures. *If in doubt feel free to call our Sales Team who will be more than happy to assist. 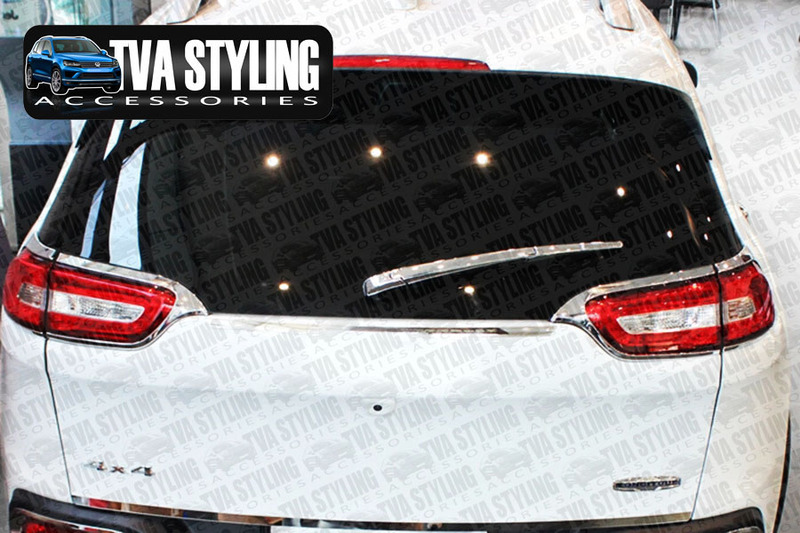 Click the button below to add the Jeep Cherokee KL Chrome Rear Wiper Cover Trim Accessory 2014-on to your wish list.